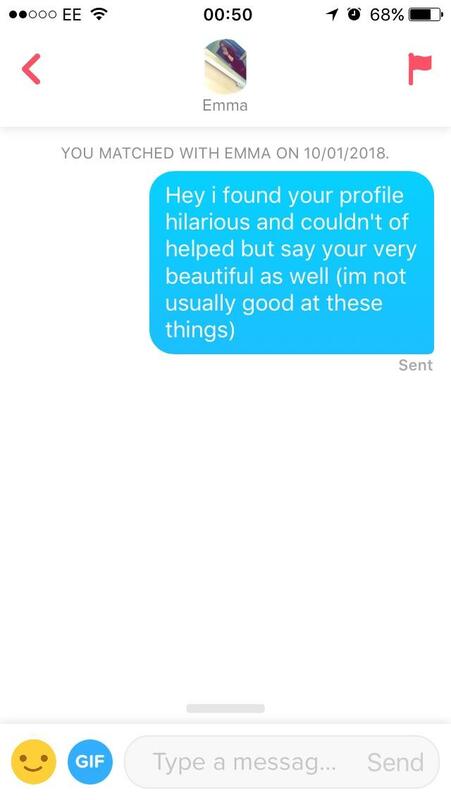 How do I get girls on tinder to have a conversation with me? 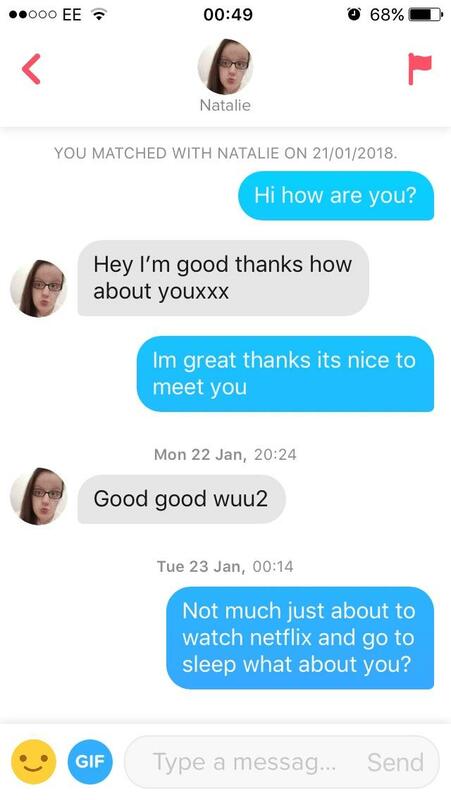 In the UK version of tinder i swipe right not because i am a player but to try and increase my odds of finding a match everytime i have a match i can't get past saying a few things and not getting anything back any advice these photos are just some of what I've said to them. Please dont judge the girls in the photos. You could start by working on your grammar. Yes. Things like mixing up your/you're or writing "could of" instead of "could have" are not helping your case. It may seem minor to you, but to a lot of people it just makes you seem uneducated. 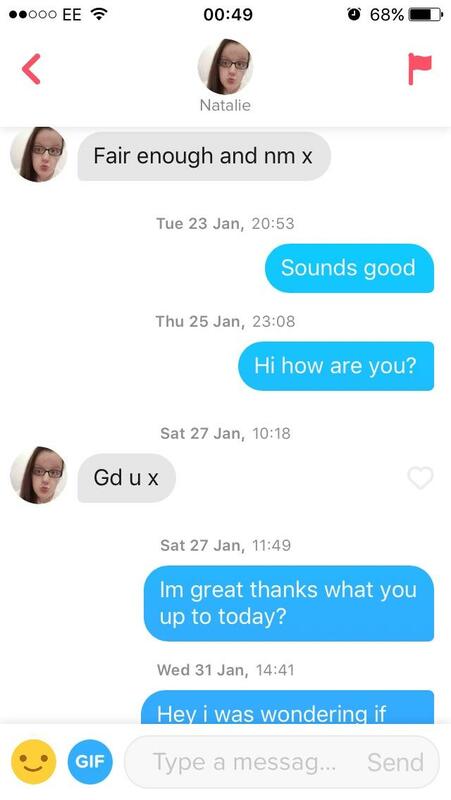 Have you had any success with online relationships? After how many dates/how long of dating someone new do you usually get over the awkward/nervous phase? Is "playing hard to get" a good thing? If you had to describe yourself to a potential date, what's the first thing that comes to mind in terms of "type"? How can a woman attract a man if she is not pretty? 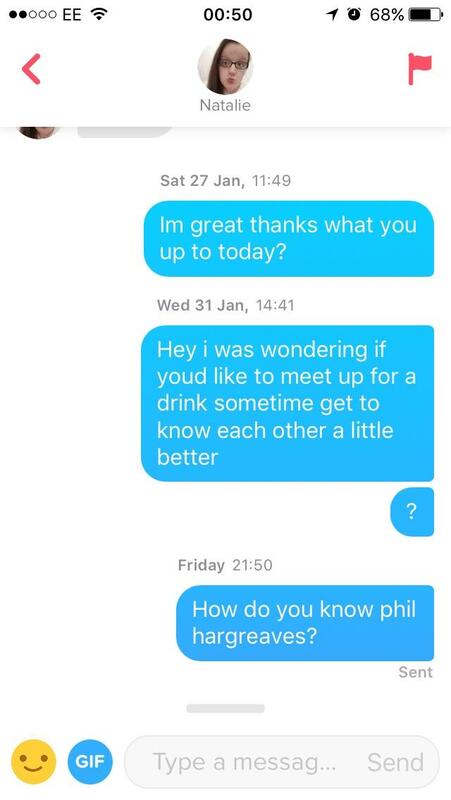 Home > Dating > How do I get girls on tinder to have a conversation with me? Are you more or less attracted to people with body modifications? I'm more attracted to those with tattoos and piercings. I'm less attracted to those with tattoos and piercings. Tattoos are okay, piercings no. Piercings are okay, tattoos no.